Kathleen Wiesenthal is an attorney licensed to practice in Texas. Her practice focuses on probate, real estate, and estate planning. Prior to receiving her law license, Kathleen had over 20 years’ experience which includes working with fee attorneys in Houston and with real estate developers in Houston and Dallas. Kathleen has a B.S. in Anthropology from University of Houston and a J.D. from South Texas College of Law. She has earned and maintained admission to the Texas State Bar College. 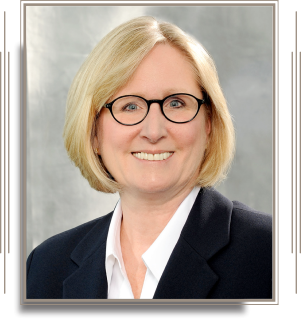 Kathleen enjoys her work as a probate and real estate attorney, with an emphasis on heirship and real estate issues which present themselves in the disposition of probate matter. She is experienced in handling bank lending documents and single family home construction documents. She has experience reviewing contracts and preparing ancillary real estate documents for both the lender and the contractor. She has prepared for and conducted foreclosures for commercial and residential property. Kathleen is married and has a daughter. She enjoys musical and dramatic theatre and live music. Kathleen is the 2018-2019 President of the Rotary Club of Bellaire/Southwest Houston and is active on the board in the Bellaire Business Association Events Committee.